Get ready for hilarious holiday high-jinx as some talented residents of the North Pole perform in their annual talent show. 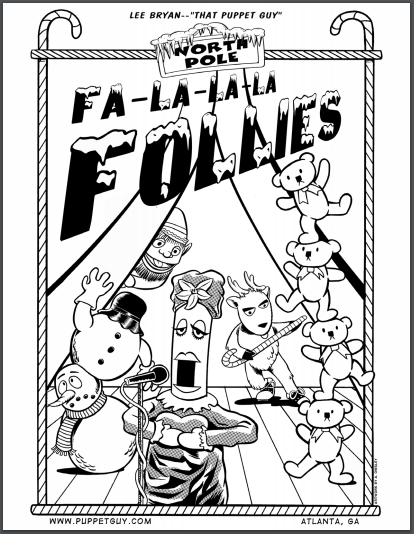 The zany and colorful cast of characters includes a wisecracking fruitcake, a musical goose, tumbling teddy bears, a duo of dancing deer, the “not-so-abominable” snowman and much, much more! 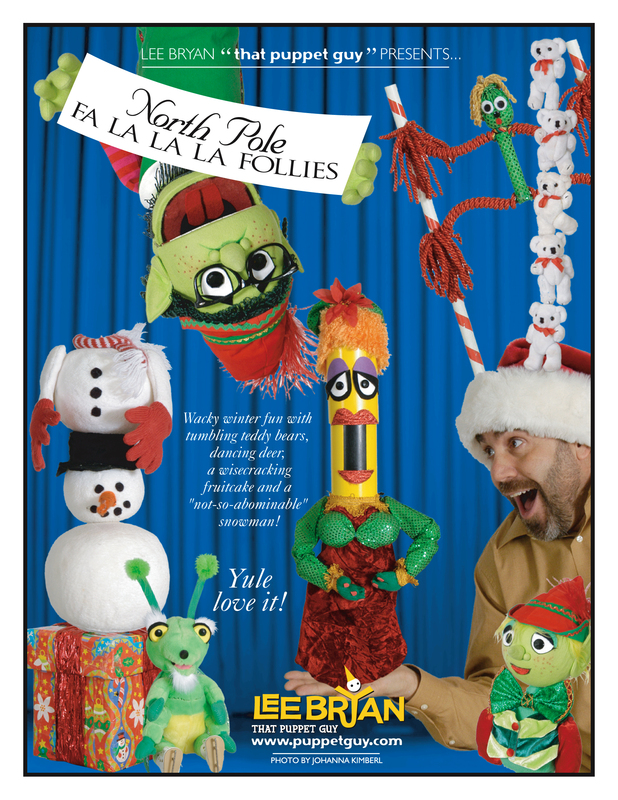 This sparkling holiday production combines music, live vocal performance and a variety of beautifully costumed hand puppets and rod puppets. 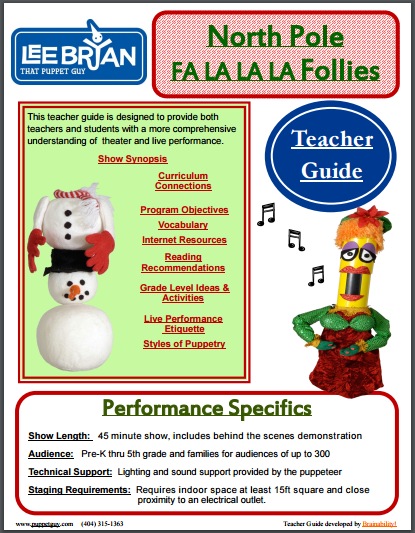 This show will “sleigh” you! 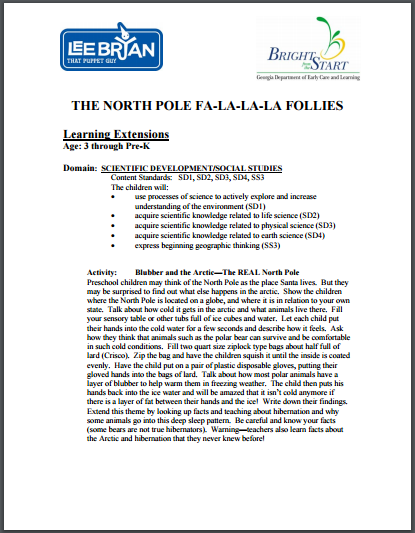 Download all The North Pole Fa-La-La-La Follies assets, including hi-res photos.